Hearing is a hugely important sense, both for humans and other animals. While we understand fairly well how sounds in the air are translated into nerve signals by our ears, this is where the limits of our understanding are. We know very little about how the brain processes these signals to help us understand the world around us. Our ears have evolved to convert sound vibrations in the air into electrical impulses that our brains can interpret. Sound waves in the air causes the ear drum to vibrate, which pushes on the 3 tiny bones of the inner ear, causing them to vibrate too. This system amplifies the sound and allows it to be passed into the fluid-filled cochlear. The cochlea is frequency-dependant, so different frequencies cause different areas along it to vibrate. This vibration causes hair cells to move, which transmits nerve impulses to the brain. While this system is fairly well understood, when it comes to how the brain processes the information it receives, there is still much to be explained. Sound information is sent from the cochlea via several relay stations to the cortex of the brain. The relay stations, including the brain stem and the thalamus, are involved in decoding the basic features of the signal. The primary auditory cortex is in the temporal lobe, and different cells within it respond to different pitches - these are arranged in a ‘tonotopic map’, with cells at one end responding to high frequencies and those at the other end responding to low frequencies, just like the cochlea. The signal then travels on to other regions of the cortex, including the parietal and frontal lobes. Although we know the pathway the information takes through our brain, scientists still don’t know what kinds of processing actually happen to the information in the auditory cortex. Other than sound localisation (which we know a lot about in Owls and a little in humans), the ways in which auditory information is processed by the brain isn't understood. How we extract details of rhythm, melody, tone and timbre, for example, remains to be discovered. Often, our ears are bombarded with sounds from many directions, not all of which we want to pay attention to. Our brains are able to ‘tune in’ to, for example, a single conversation over the babble of background noise at a cocktail party. We do this using our ability to group sounds into separate streams, based on frequency, timbre or location of source. But it isn't understood how exactly the brain does this. This process is extremely sophisticated - while you may be aware of other conversations, you won’t consciously ‘hear’ any of what they are talking about - unless, of course, they mention your name! Because this filtering is done at the level of the brain, words that are important to you will be noticed, even while you are ignoring the rest of what is going on and concentrating on the conversation you are involved in. How it does this complex processing below the level of awareness isn't known. Recently, studies of changes in ear canal pressure have led scientists to believe that our eardrums move in sync with our eyes. This helps us coordinate between what we see and where a noise is coming from - but how does it work? Scientists think this also happens at the brain level: the brain sending a signal to the ear about its movements, so the eardrum can make parallel adjustments and point in the same direction. But they’re not sure - the movement could start at the brain, eyes, ears, or even depend on whether a movement or sound first captures our attention. There are various hearing problems which can affect people over the course of their lives - one common one is Tinnitus. People with tinnitus hear sounds that have no external source. These can be ringing, hissing or roaring sounds, or very occasionally music or voices. It can come from one ear or both, and usually starts gradually. It can be caused by disease or head injury, but is most commonly brought on by noise-related damage to the ears, but it isn't known why this damage would lead to ringing sounds being heard. Loud noises like rock concerts vibrate the hairs on your hair cells so violently they can actually snap the tips off them! This causes them to send signals to your brain for a period after the noise has finished - this is the ‘ringing’ you may hear, and is a temporary form of tinnitus. Luckily, the hair cells can grow back within 24 hours if it is only the tips that are damaged, so the ringing usually goes away fairly quickly! One possible mechanism for chronic tinnitus suggests that hearing loss can lead to an over-compensation, meaning that natural fluctuations in the hearing system are interpreted as sounds. Where in the system this happens though, isn’t known. Some argue that as hair cells are killed off, those remaining become over sensitive and activate the nerves due their natural movement. Others think it is the nerves that become super sensitive and constantly ‘on’ as the hair cells they connect to are damaged. Finally, it may be the brain itself that is the problem, by becoming over activated as it tries to ‘fill in’ the gaps in the frequency spectrum caused by hearing loss. Until we have a better understanding of the mechanism that causes tinnitus it is unlikely we will find a cure, so preventing your ears from being damaged in the first place is crucial to avoid this condition. Most people develop some form of hearing loss as they get older. The first symptoms are a difficulty hearing high frequencies, which can make understanding speech difficult when there is background noise as high frequency, sibilant sounds like S and F get lost. It is vital to fix hearing problems as soon as they occur, because any area of the brain that isn’t used is rapidly taken over by other areas. If high frequencies are no longer transmitted to the brain, the part of the brain that respond to them will cease to exist, so boosting the input signal through a hearing aid will not improve high frequency perception. The sooner after the start of hearing loss a hearing aid is used, the less likely it is that this will happen. Hearing loss can occur because of damage to the hair cells in the ear which are vital for converting sound vibrations into electrical signals that can be sent to the brain. Once they are killed off by damage, the hair cells in humans don’t grow back, unlike those of some other animals. 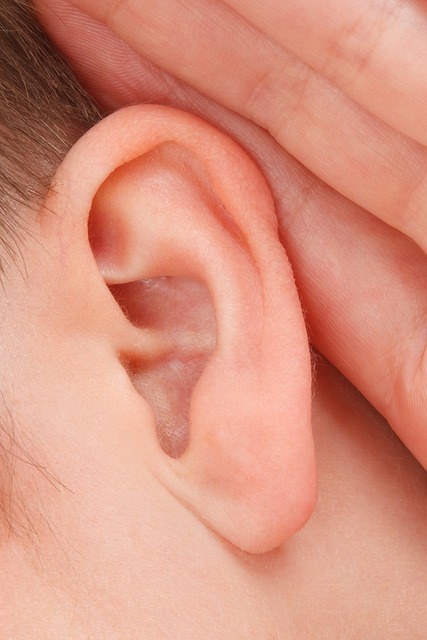 Scientists are working on ways to regenerate hair cells to help people with hearing problems. However sometimes hearing loss occurs with no obvious damage to the hair cells. Recent research suggests loud noises might damage the connections between the auditory nerves even when no damage to the hair cells is seen. This could be a leading cause of hearing problems in older people, but wouldn’t show up on traditional hearing tests, which only look at hair cells viability. The nerve fibres that are most damaged by noise are those we rely on to understand speech in a noisy environment – up to 90 per cent of these synapses can be damaged, yet you can still perform normally in a standard hearing test. What would not be picked up is how much more slowly the brain is sampling and processing sounds, which can make it very difficult to understand fast speech, particularly in noisy environments. However, there is hope. A drug called dexamethasone has been shown to encourage the nerve cells to re-grow in mice, although it has too many side effects to be trialled in humans currently. Another cause of the problem may be the thinning of the insulating myelin layer around the auditory nerves - again caused by exposure to loud noises. How whales hear is an outstanding question in marine mammal research. Although they have a tympanoperiotic complex (TPC) which picks up some sounds, the frequency of the sound waves made by whale song is not picked up by the TPC. So how can they hear each other? In order to find out, scientists generated a model of a fin whale skull, and mimicked a sound wave passing through their computer model. The result was the skull vibrated, suggesting the whales hear through bone conduction; the sound reaching their brains through vibrations of the skull instead of via the ear drum. This model has only been used with the fin whale skull, so whether the same mechanisms occur throughout all whales is unknown. Furthermore this is only a model, and hasn't been observed in the wild. Whales produce the loudest sounds of any animal, so they need to protect their ears from the sounds they produce to avoid deafening themselves. They also need to defend their hearing from external sound, increasingly from man-made sources. Recent research suggests false killer whales are able to change the sensitivity of their hearing when they are echolocating, so to understand this better, a team of scientists played a short ‘warning’ sound before a loud sound to a false killer whale. They studied its brainwaves in response to the conditions and the results indicated that the whale quickly learned what the warning sound would be followed by and then reduced its hearing sensitivity accordingly. However, how the whales physically do this is not known. This article was first published on 2015-11-30 and was last updated on 2018-02-05.